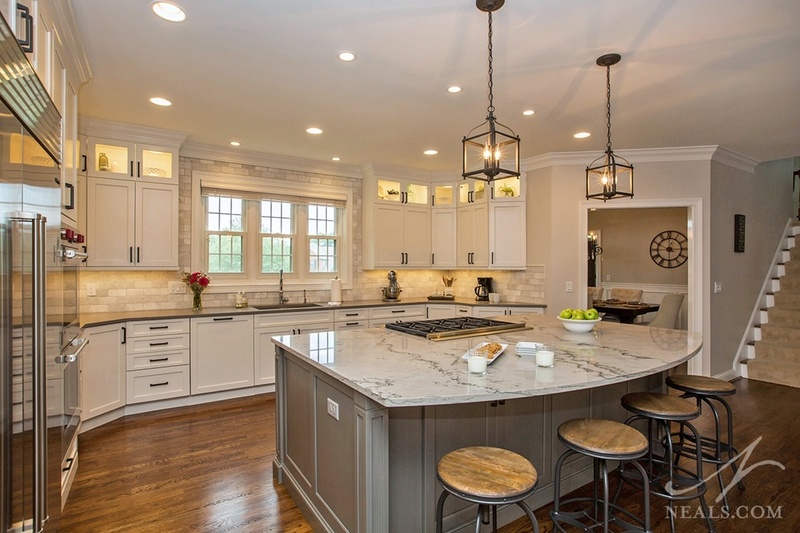 The family of this Loveland remodel needed more than just a new kitchen. They needed a space to gather and connect as a family, while still gaining efficiency with their daily household routines. A brighter space with a rustic-chic style fit the family's taste, while special attention to layout, scale and storage addressed their functional needs. The new kitchen feels like a part of the first floor's family room, encouraging family togetherness through all hours of the day. The new kitchen space is an open U-shaped space centered on a new large island. With plenty of space between the island and the perimeter counters, the space invites the whole family to come and help out, knowing they won't get into each other's way. 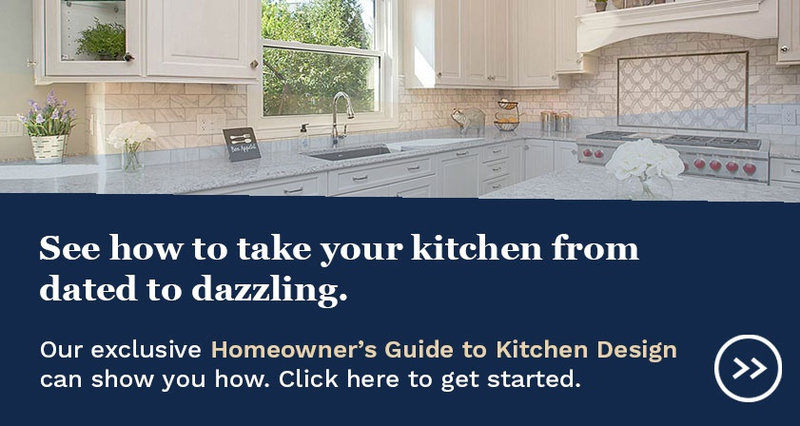 The white and gray palette is on-point, with both tailored details in the classic cabinetry design, and the rustic look of natural stone backsplash and lodge-style pendant lighting. 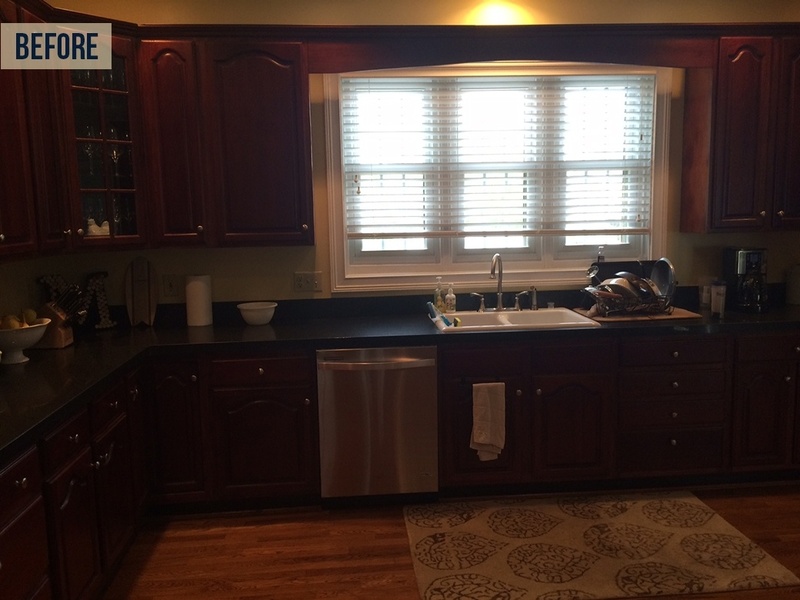 The original kitchen was a dark space of dark cherry cabinets and a black counter. Though the kitchen had a good amount of counter, and lots of useful storage, the overall kitchen design was uninviting and inefficient. The material selections in the new kitchen provide the dramatic aesthetic update. 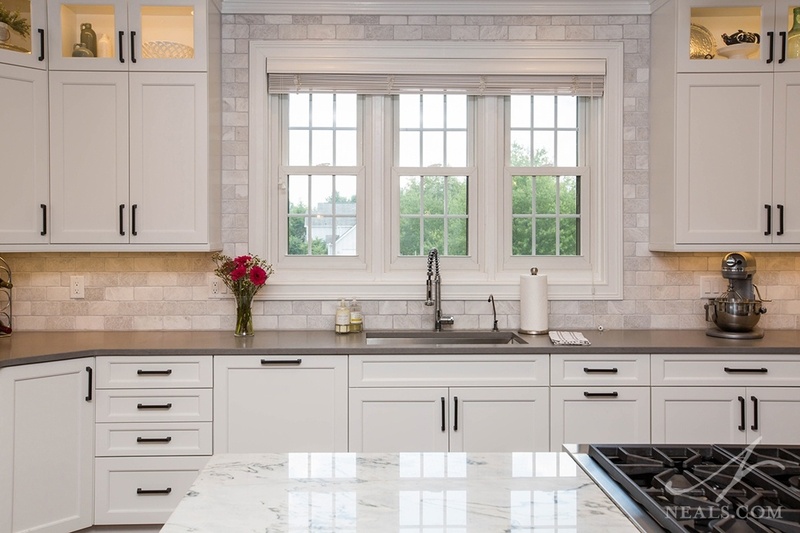 The new cabinet doors are a transitional design, Brookhaven's Edgemont Recessed Overlay, which is reminiscent of work-horse kitchens from the 30's and 40's. A timeless option, the style is also ideal for creating a neutral base that can go in almost any style direction. Pairing the white cabinets with a gray Caesarstone counter adds contrast without going too far into black & white territory. The result is a light, neutral space that doesn't feel too pale. The original island was a winged piece that acted more like a wall than an island. Those sitting on the back side where removed from the activity of cooking by being at a different height. For the cook, the island felt like a corral, making moving from the cooktop to the fridge, oven or sink require more effort than necessary. 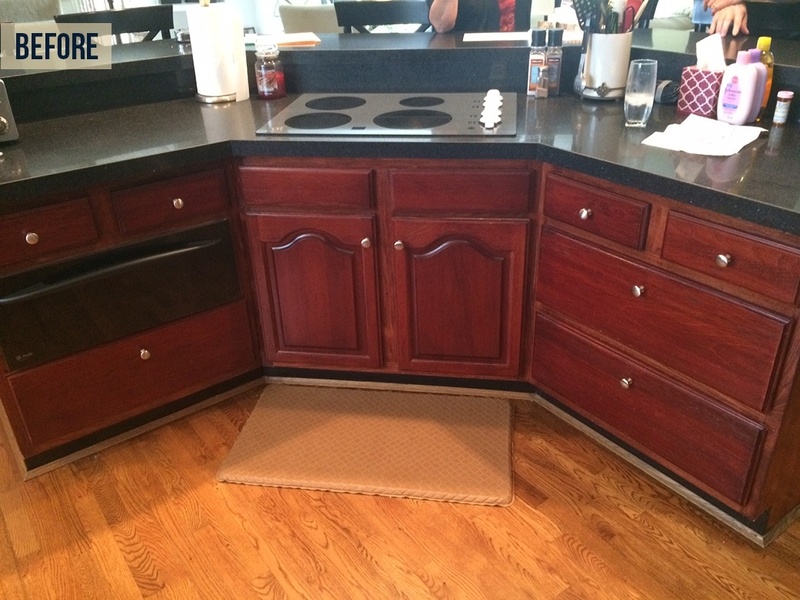 The new island is a large rectangle with the entire countertop open for meal prep. The scale is large enough that dinner can be on the cook top, and homework at the seating, and nobody is getting in the way. Without a barrier, everyone feels included. 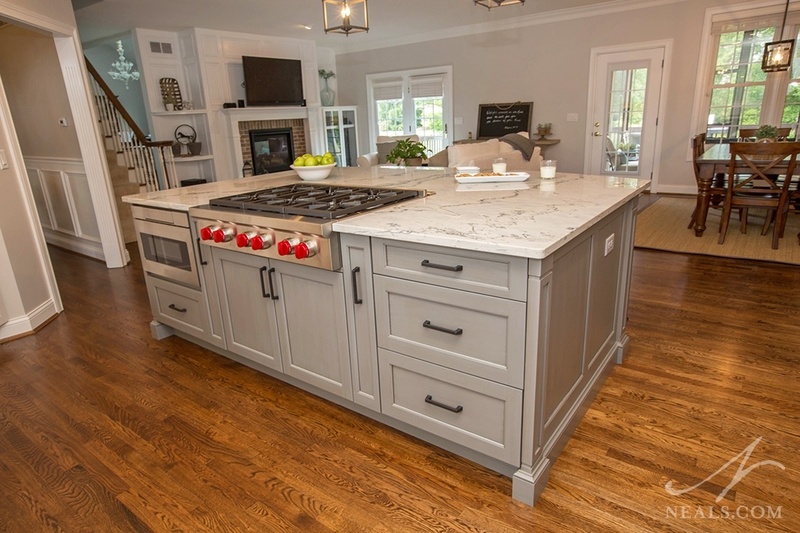 The island was finished in vintage Baltic Sea, a gray-blue glaze that allows the wood grain of the doors to show through. 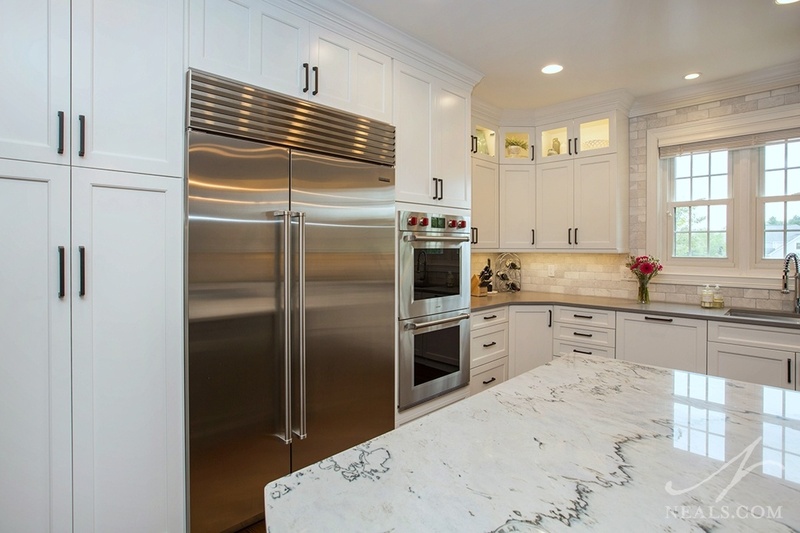 The white and gray-veined countertop, which adds texture and interest compared with the solid gray perimeter counter, is Macabus granite. One of the big changes to the kitchen's efficiency was rearranging the appliance locations. Previously placed opposite each other at the ends of long banks of counters, the fridge and oven forced the working zone to the very edges of the kitchen in both directions. To correct this, the new high capacity fridge and double oven were paired together, and placed closer to the inside of the kitchen. Cabinetry around the new appliance bank is much-needed pantry storage. 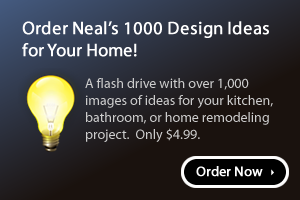 A key kitchen design principle at work in this remodel is that more is only better when it's the right kind of more. While the original kitchen has lots of open counterspace around the walls, it lacked a central counter where everyone could come together. 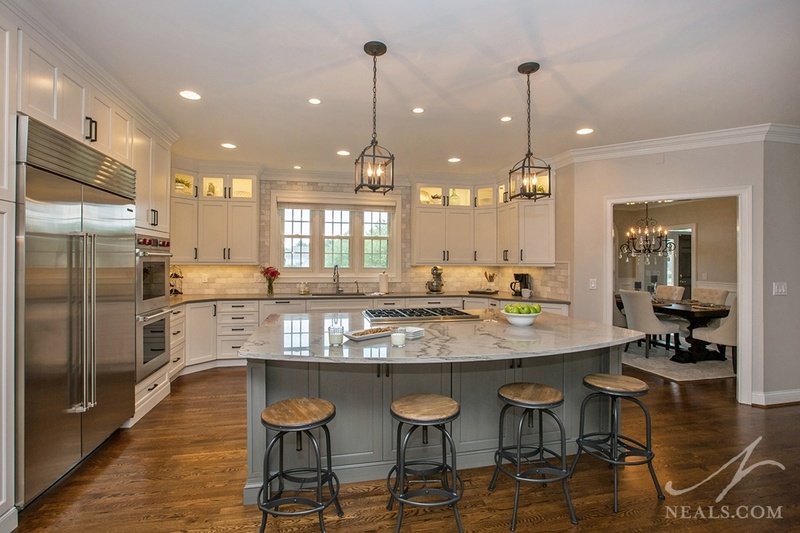 By sacrificing some counterspace elsewhere, and replacing it with a larger island at the middle, the kitchen functions better as a space that multiple people can be in and use all at once. Combined with the comfortable, slightly rustic and very chic style, this kitchen is ready to handle all the tasks the family requires.